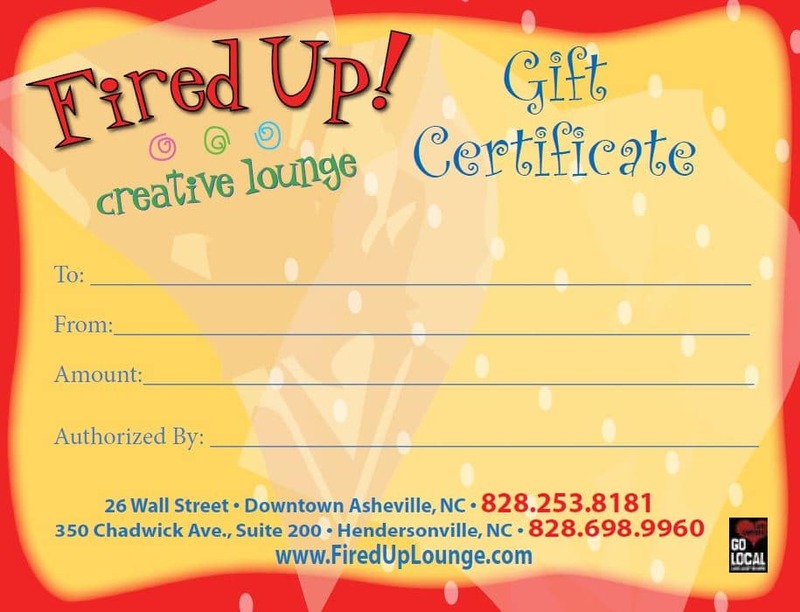 Give the gift of creativity with a Fired Up! gift certificate. This certificate can be mailed to you or directly to your special person for their special occasion!